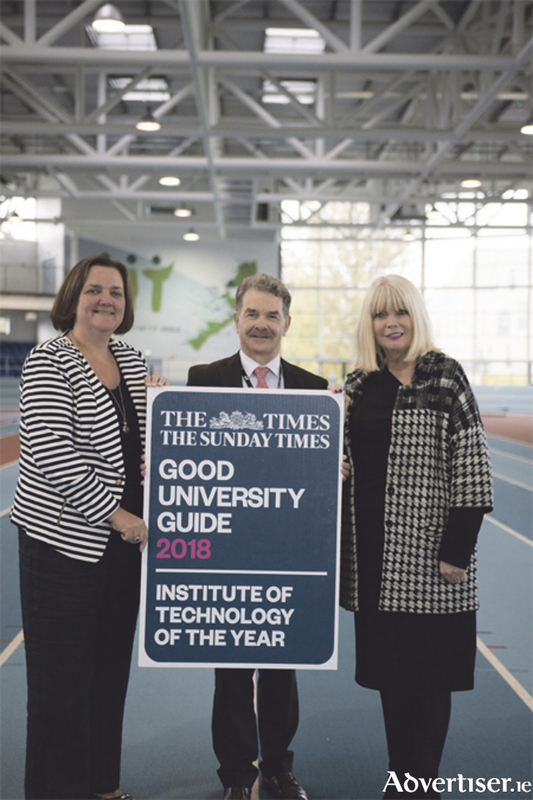 Athlone Institute of Technology (AIT ) has been named ‘Institute of Technology of the Year – 2018’ in the Sunday Times Good University Guide. AIT has moved up in the rankings since last year, when it was awarded the runner-up position, finishing in 10th place. AIT’s strength in identifying areas of skills shortage and working with businesses to improve links between enterprise and academia were among the reasons for the Institute scooping the prestigious award. AIT’s association with polymer engineering is particularly strong, with PhD students graduating every year, as is its involvement in the biopharma and medical technology sectors. The IT offers a unique programme in microbiology that addresses a skills shortage in the midlands region - the only programme of its kind offered through the CAO. The student experience was also a factor in AIT’s win, with the IT noted for its openness and friendliness. AIT graduates enjoy job success, with over 93 per cent of the graduate class of 2016 either employed, in training or in further study six months after graduation, a further testament to AIT’s innovative approach and close links with industry. Minister of State for the Office of Public Works, Kevin “Boxer” Moran, congratulated AIT, saying that the award was a clear reflection of the progress that the IT has made over recent years. Moran said that “Athlone IT remains an integral part of the town’s social and community life while also successfully matching the needs and requirements of local industry through research and employment opportunities”.